Though seemingly personal work, MaID has contributed to diversifying the scope of images of black women in media. “Experimenting with different characters and archetypes, I have portrayed myself in highly stylised fashion using the performative and expressive language of theatre,” she shares. 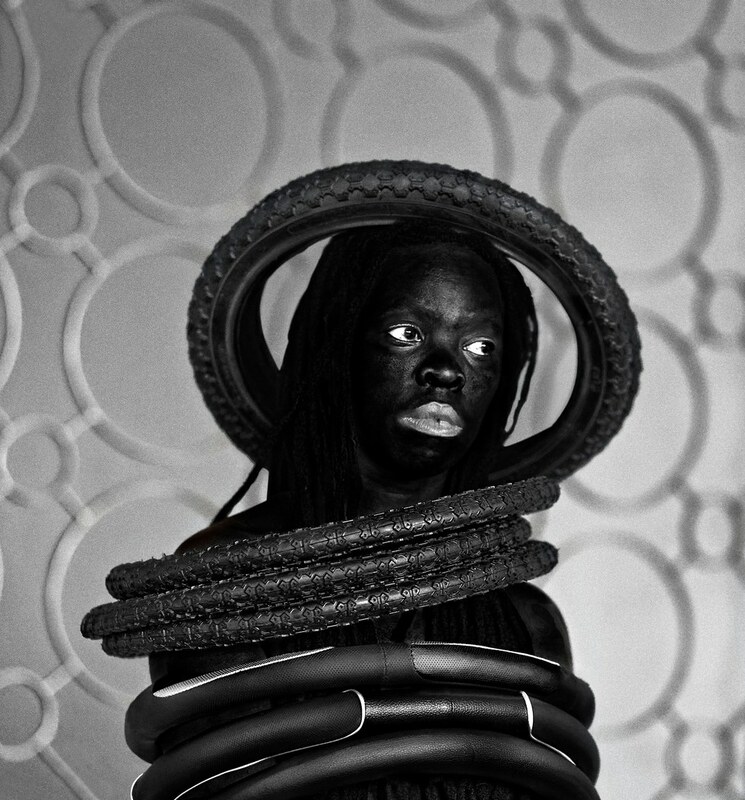 “By exaggerating the darkness of my skin tone, I'm reclaiming my blackness, which I feel is continuously performed by the privileged other.” Muholi has had solo exhibitions around the world, including the Museum of Modern Art in New York, the Stedelijk Museum in Amsterdam and the Schwules Museum in Berlin.